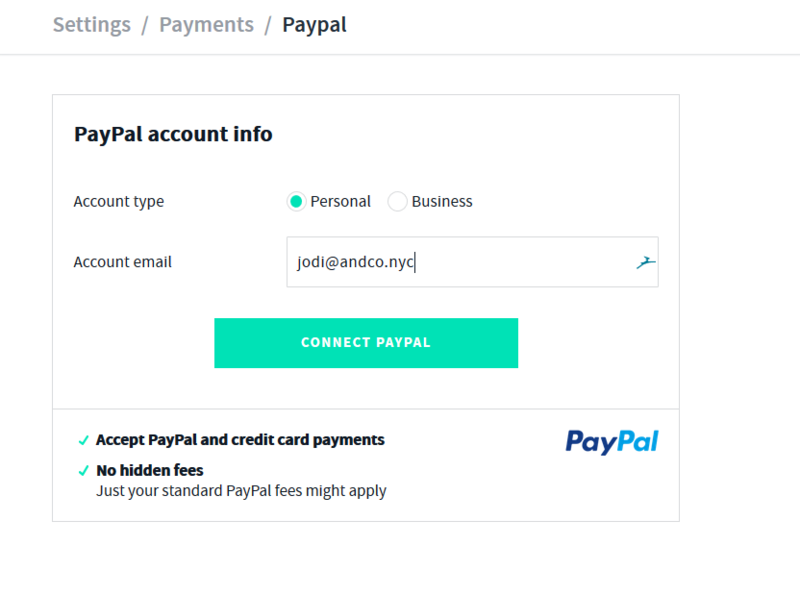 Connect AND CO With PayPal So You Can Get Paid Online straight to your PayPal account. 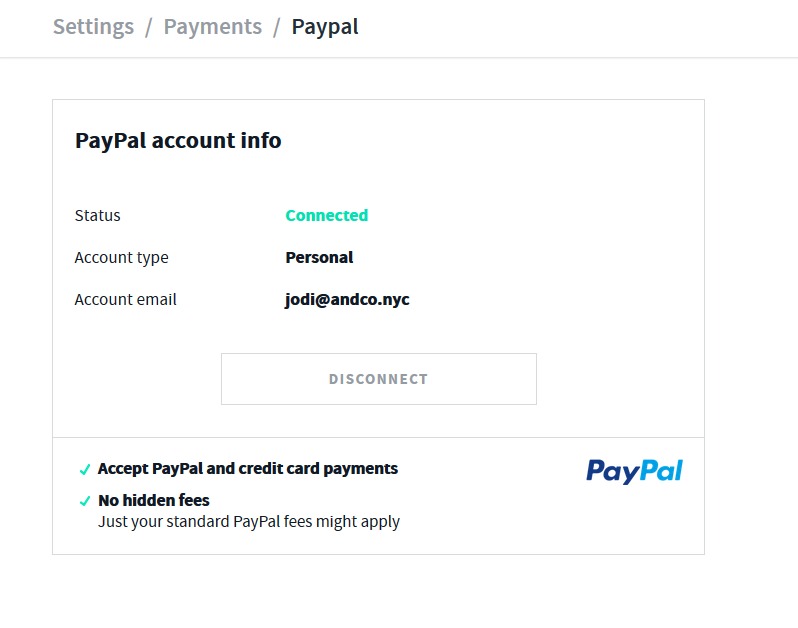 Then select > connect PayPal. 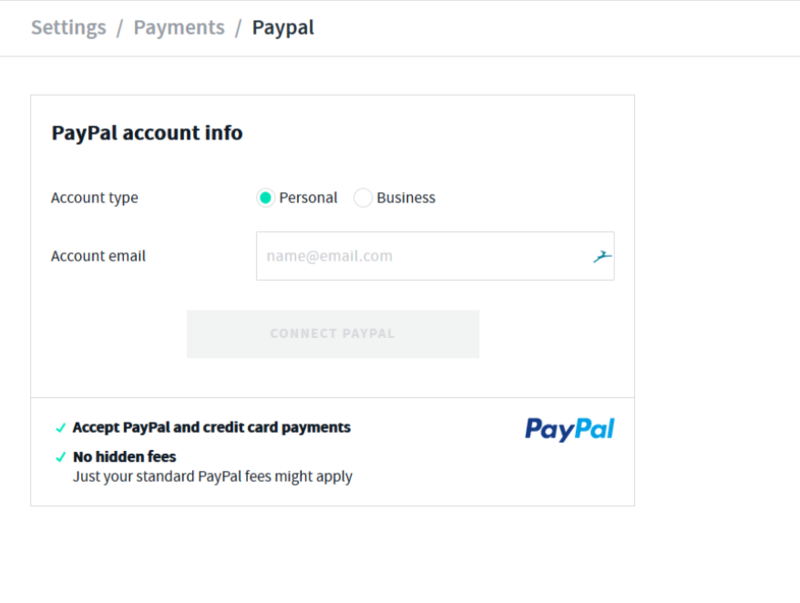 Once connected you will see that PayPal Personal is connected and your clients can now pay you via the invoice/PayMe page using PayPal as a payment method. It is important to ensure this is the correct PayPal email as payment will process via PayPal to this account. 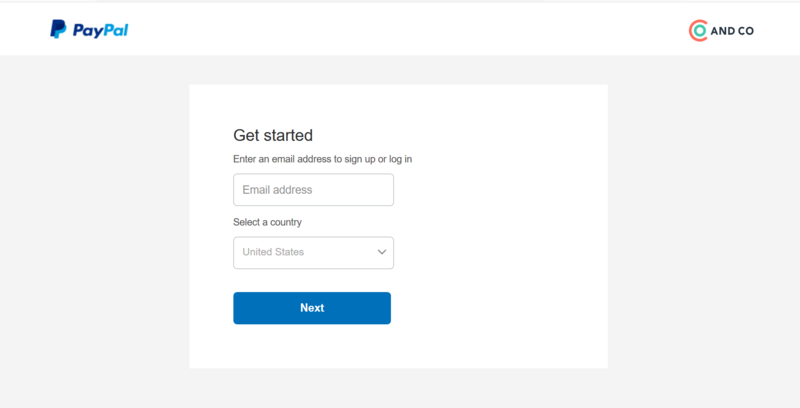 Once you have selected > connect PayPal Business you will be directed to enter in your PayPal email and country to sign up to PayPal or log in. 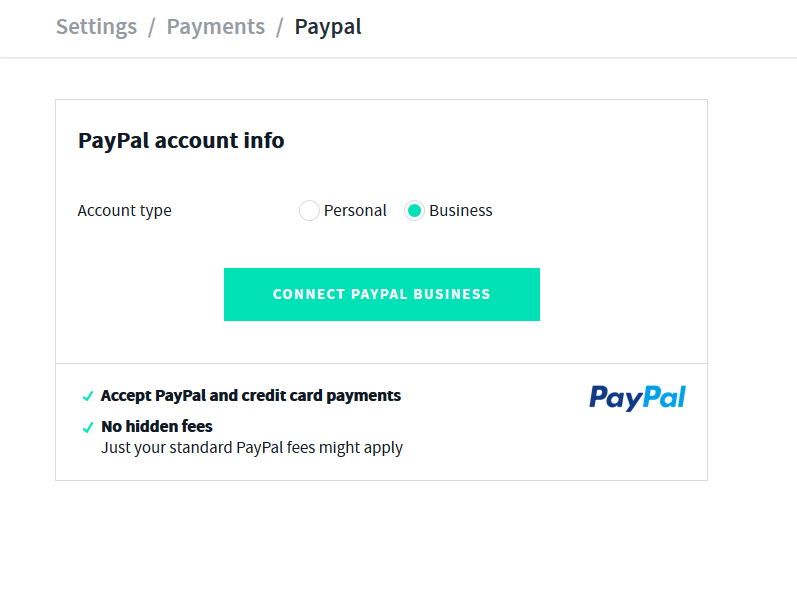 Proceed to follow the prompts to connect your PayPal Business account. 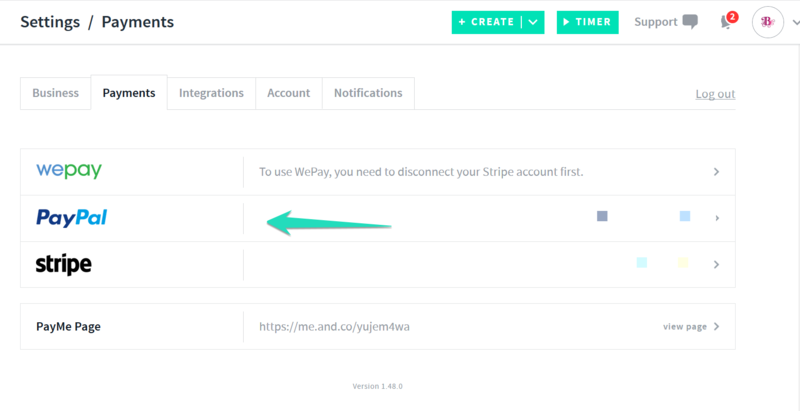 Once connected you will see that PayPal Business is connected and your clients can now pay you via the invoice/PayMe page using PayPal as a payment method. If transaction is fully funded by your PayPal balance or a bank account linked to your PayPal account the Fee is waived.